Core to your business is the need to plan and monitor time, budgets and resources across all Jobs. 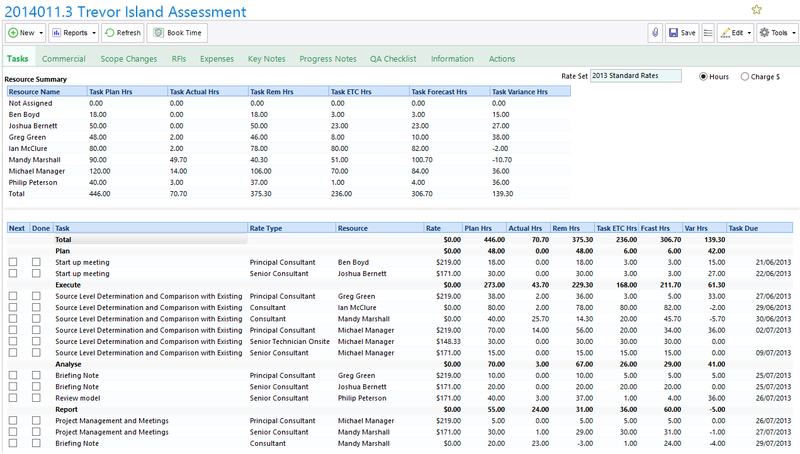 With eTrack you can define tasks, assign resources, estimate budgets and create a documented proposal. Then monitor key performance indicators such as margins, profit, time variations, budget variations and WIP. In one click you can see a very fast roll up of these KPIs across all jobs so you can quickly see if slippages in time or money are occurring. Job Costing is fully integrated with timesheets, schedules and accounts. The Planning Tasks screen has been designed by Engineers to be the core planning area. Define your tasks, assign roles and role rates and plan the hours. Each Task may have multiple Roles at different rates each with their own estimated hours that are separately tracked. Replace Roles with Staff and define Due Dates.Actual hours are automatically updated from the Timesheets. Estimated hours to complete are decremented and can be edited so that an accurate forecast can be monitored.On the same screen is a summary of all resource hours and charges with valuable forecast and variance information. The Budget or Commercial tab shows a dashboard of rolled up hours and budgets for resources and expenses providing an accurate real time view of the Job. 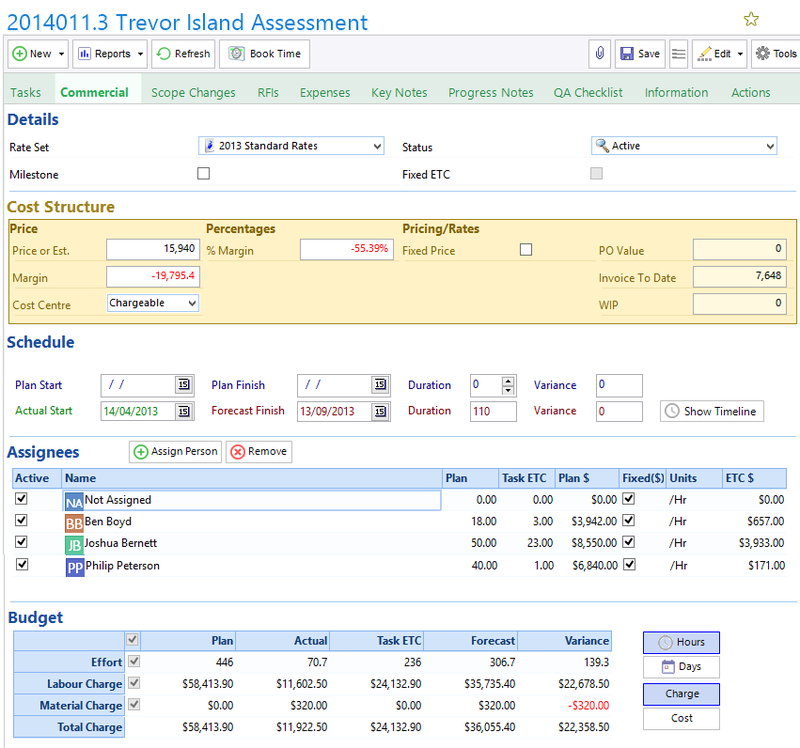 The total Purchase Order and the Invoiced to date amounts are also shown for each Stage or Opportunity. All budget information is rolled up to the Job level which includes a summary of purchase orders, quotations, margins, invoiced amounts and WIP (unbilled amounts). Quality Checklists are a popular addition to the Planning Task screen. For each Stage, they are both a guide as to what to do and a checklist of what has been done. They are typically created in templates and define your methodology: recording all past lessons learnt to prevent actions being forgotten. They can also be used to cross check your estimates.